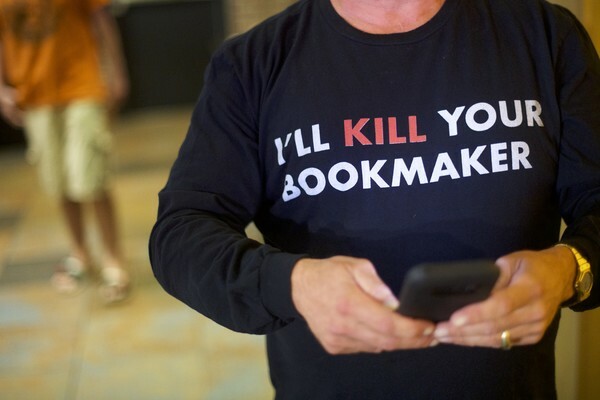 Sports Adviser .Stuart Feiner, who was portrayed by actor Al Pacino in the film "Two for the Money," wears a t-shirt stating "I'll KILL YOUR BOOKMAKER" before placing his wager at Dover Downs Casino on June 5, 2018 in Dover, Delaware. Delaware is the first state to launch legal sports betting since the Supreme Court decision to lift a 25-year old federal ban. Al Pacino out and about..